The Executive Council of Fresh Start is pleased to present this update report, Public Uses for Public Lands at the Celery Fields, which offers our communities’ sense of the highest and best use of the quad parcels at Apex and Palmer Boulevard at the Celery Fields. This update focuses on progress made since our last report of April 25th, 2018 (our prior reports are attached for ease of reference). We anticipate that you will address this community request for action after your summer break, and we look forward to a positive outcome for our community. 1. A multi-use community facility - trails, gardens, a wedding pavilion, meeting area. 2. A Celery Fields-themed nature lodge/restaurant with platforms for birders. 3. A boulevard style set of shops, fooderies, and upstairs residences. 4. Outdoor sports courts and fields built, run, and maintained by the Sarasota YMCA. The community expressed the highest support -- 84% -- for option 4, the $1 million YMCA proposal featuring pickleball, tennis, basketball, a shaded exercise area, open sports field, parking, pavilion and gourmet food truck area. Since April, at your direction we have focused on refining that proposal and addressing questions raised in our individual meetings with the Board and with staff in May and June. In May, Fresh Start performed a short survey (4) of its HOAs asking what sports fields -- for soccer, baseball, football -- and sports courts -- pickleball, tennis, and basketball -- currently are available to them. It turns out that none of these facilities are publicly available East of I-75. To reach the nearest tennis, baseball or soccer fields required drives of up to 9 miles. 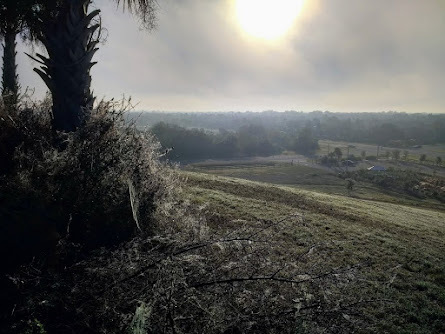 It turns out that nearly all public sports fields and courts lie west of the Interstate at Colonial Oaks, Fruitville Park, 17th Street, each with limited facilities to serve its nearby communities. Also in the past couple of months, Tampa-based SEER Analytics performed a site study authorized by the Sarasota YMCA which is attached to this report (3). It reveals a substantial user base within a short radius of parcel #2: More than 43,500 households would be within easy driving distance of the facility. The SEER study includes detailed demographic data and finds a ready community of households to make use of a YMCA facility there. We’ve also learned more about the YMCA’s range of programs for children. In certain counties, YMCAs lease parklands to provide summer camps. 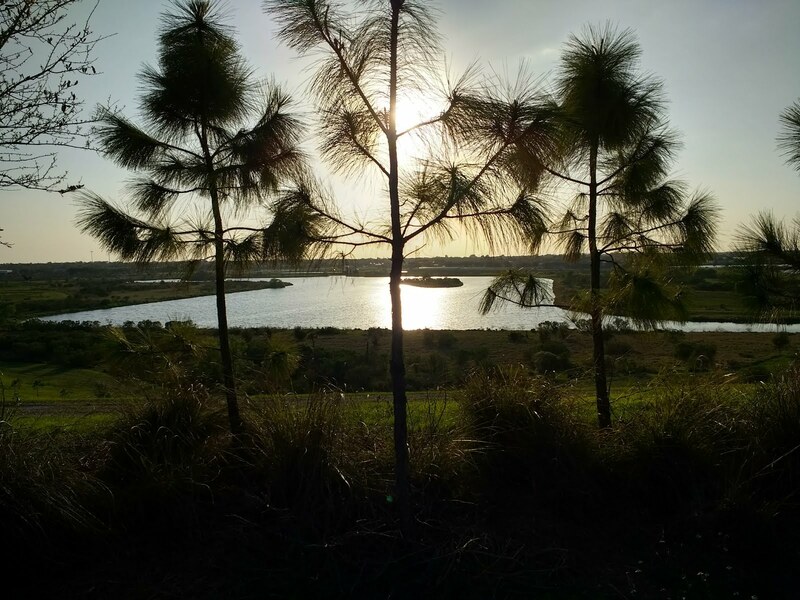 At the Celery Fields, the Sarasota Y could offer a rich array of children’s programs making great use of the natural treasures right next door. Think of kids birding with Audubon volunteers, and fishing, hiking, and kayaking with YMCA leaders. A YMCA at the Celery Fields would amplify the range and richness of what our community’s seniors and children can experience. We thank you for the opportunity to present these proposals, which grew out of a half-year of serious community outreach, consultation, feedback and choices. The ball is now in your court. As a final consideration, let’s zoom out from this present moment, and remember what brought us to this point. Residents of neighborhoods that didn’t exist when the area was zoned MEC in 1983 spoke of profound changes the area has seen, and how much the Celery Fields means to them. Environmental groups reminded you of the County’s extraordinary good fortune in having an eco-tourist wonderland attractive to 224 species of birds evolve from a stormwater project. Citizens wondered what planning principles and vision would allow consideration of heavy industrial uses in this ecologically sensitive area with fragile roads. After the August 23, 2017 hearing, many believed the Board would direct staff to take a fresh look at this area, consult residents, and work to optimize its potential. Fresh Start arose out of that concern. Even now, a year later, an industrial proposal could compromise the community. If we zoom out further, big projects are coming. Large-scale housing tracts plan more than 27,000 homes on 20,700 acres stretching from University Parkway at the north end down past Fruitville, Bee Ridge, and Clark roads to SR 681 near Venice. Sarasota County’s open spaces and country roads are vanishing forever. Commissioners, it is the responsibility of your office to evaluate these large proposed developments in light of public infrastructure, services, and amenities. We take this opportunity to assert the public’s right to a vision that balances private development with public needs. Fresh Start urges the Board to take this small step towards a proactive vision and a positive direction for the future of Sarasota’s people. On behalf of our 50 communities we ask your support for a YMCA sports facility on the 10.6 acres of Quad Parcel #2. Ideally, all four quad parcels should be dedicated to sensible, interrelated uses that will become more acutely necessary as East Sarasota builds out. Staff has outlined the requisite re-zoning actions for each of our four proposals (8). THIS . . . or THIS? Vote for your community’s future: Let’s make a healthy fresh start at the Quads for East Sarasota County. Public Parcels at Apex Rd. and Palmer Blvd. Why sell our public land? We are a volunteer group seeking to optimize public lands at the doorway to East Sarasota County. 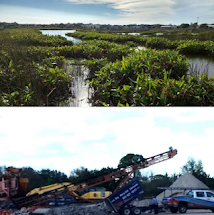 We believe there are higher and better uses for these lands near the Celery Fields Preserve, an eco-tourist mecca for birders and recreation, than industry.